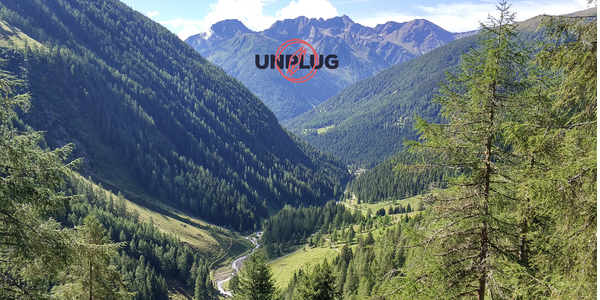 The rumors are true - Unplug is coming back for a new amazing Summer 2019 edition. June 26-29th, 80 of the best people in crypto, Val di Rabbi, Italy. Applications for invites are now open. Insightful look into the state of things in Ethereum 2.0, as Matt and Dan from Kyokan present their findings from interviewing 5 implementation teams, then outline some of the key problems and proposed solutions. Superb post by Hector Rosekrans, drawing parallels between the control of commerce in the high seas and the centralizing forces in the digital commons, and how Bitcoin is giving humanity a weapon to take on that power for itself. The BitTorrent sale on Binance launchpad earlier this year gave birth to the latest craze: IEOs, initial exchange offerings. With trading volumes and fees down the sink, exchanges seem to have found another revenue line to milk. In this post TE old friend Derek outlines his views on why they are interesting, but probably not a big deal. Excellent observation on the current state of defi, by Alex Evans of Placeholder: "protocols that concentrate liquidity into a smaller number of markets and assets [eg Maker, Uniswap] have thus far had a much smoother path to adoption" compared to those that require a discrete counterparty for each trade (e.g. 0x, Dharma). Liquidity is UX (h/t Ryan). Speaking of liquidity, Hummingbot is like a Uniswap on steroids (without the nice UI). In this article they explain the differences with Uniswap and announce that they're building a connector so that anyone can effortlessly run an arbitrage strategy on Uniswap vs other exchanges. Decentralized exchanges are the future. Fully decentralized, fully collateralized short selling by modifying the concept of bonding curves. FINALLY something we should be able use to explain Zero-knowledge proofs to our moms! After last week's funding announcement, Unplug-alumna Claire has written an in-depth look at Celo and how it aims to achieve stability for its family of stablecoins. Stefano had the pleasure of judging the NuCypher hackathon hosted by CoinList last week, and rarely been so excited about a new technology. Big disclosure up front: Stefano has been an investor in NuCypher since 2016 through one of his funds and is also a direct personal investor. Yannick is also a direct investor. Proxy re-encryption feels like magic. The ability to encrypt once and decrypt on an individual basis just by issuing a new decryption key and not having to re-encrypt everything enables so many novel new use cases. One of my favorites was "thisfeedisalwaysforsale", which implements a harberger tax on top of a stream of data. Anyone can buy access to the stream of data and pay a tax on it depending on the price it sets, and anyone can buy it and take it away from them. With NuCypher we finally have the ability to run such a scheme in a fully decentralized way where the contract would be issuing and revoking decryption keys to the buyers, with absolutely no risk of double-dipping by previous buyers. We're living in the future people. DAIhard: the *KILLED* unkillable crypto/fiat gateway. Any country, any fiat. Proudly announcing the open beta on mainnet. DAIhard is a new crypto-to-fiat, trustless Localbitcoin clone built on Ethereum. It works with any fiat currency, and in the style of new players like Ramp Network, is completely decentralized (vs Localbitcoin). While Ramp tries to solve the runaway-with-the-money problem with Open Banking apis, DAIhard uses collateral. Both the buyer and seller commit the same amount of collateral to the trade - but the twist is that there is no oracle nor third party to settle the trade. It's all based on incentives. - Now, the Seller has two options: release the funds to the Buyer, or Burn both her funds and the Seller's collateral. If they didn't receive the money, they can decide to burn both their own money as well as the deposit of the seller. If they did receive the fiat, then they'd just release all the funds to the Seller. - if the Seller doesn't receive the fiat, then essentially she has lost his money. The whole system needs to be designed to minimize or eliminate the possibility of this happening, and it isn't. - if the Seller receives the fiat, she has absolutely no incentive, other than being a decent human being, to not burn her capital and the stake from the Buyer. - Buyer locks in 2x DAI (1/3 DAI is way too low of an incentive). In this scenario, I think that the burning mechanism would really rarely have to be used, as the stakes are much higher for the Seller as they would also be burning their additional collateral. Still not ideal in a scenario where it could be proven that the fiat was never transferred, but hey - it's an early approach. This is clearly the path for future decentralized fiat-to-crypto exchanges. We'd be really interested in seeing more approaches here. A gorgeous new explorer aggregating all data that flows through Uniswap. As Cyrus mentioned, can definitely see this becoming the CMC for Uniswap once it incorporates a /USD feed. More wizardry from Austin Griffith, who's created a cool emoji exchange game on top of Burner wallet. 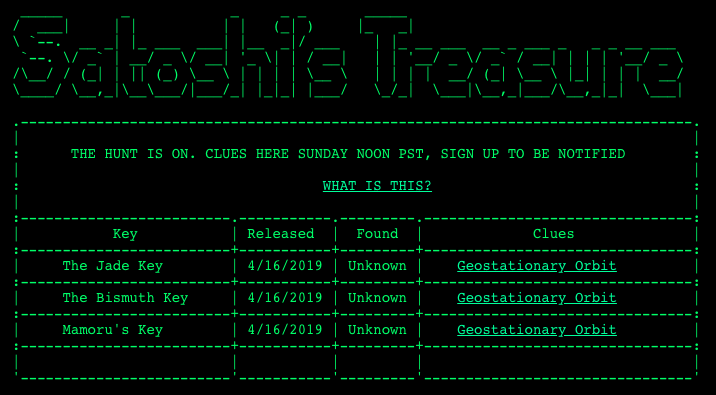 A Ready Player One like treasure hunt just started, with a wallet containing $1M worth of BTC at stake. Clues to the 1k keys to be released over time, which are Shamir's splits of the wallet's private key. First to 400 gets the pot! Opera goes all-in on web3. 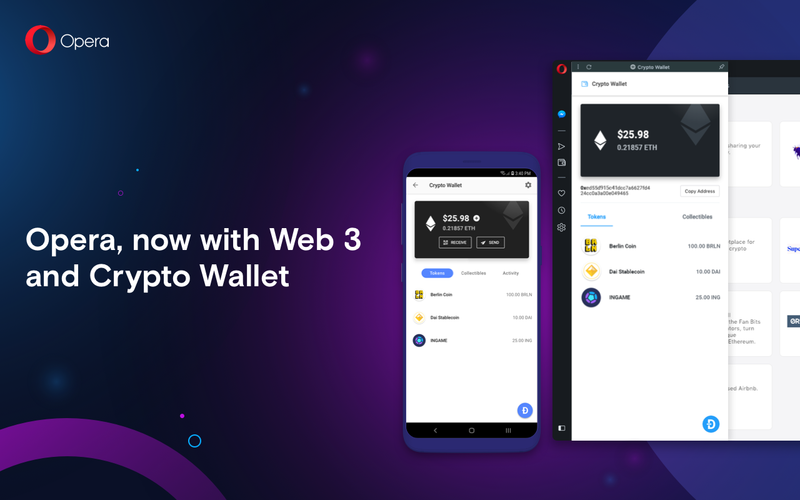 Opera now also includes Web 3-support and a Crypto Wallet, an important new feature. It allows you to browse and make transactions the blockchain-based Internet of the future, also known as Web 3. Bisq is also going the decentralized governance route! the project cannot achieve the degree of censorship resistance it requires without first decentralizing its funding and governance. A heavy one here from 0x. Will and the 0x team are soliciting feedback on their new idea to essentially justify the existence of the ZRX token. Under the proposal, takers pay a small protocol fee on each 0x trade. — the protocol fees generated from their orders. — their stake of ZRX tokens. MMs who do not own sufficient ZRX to collect liquidity rewards will be able to form a ZRX staking pool for third-party delegators. Disclosure: Stefano holds substantial ZRX. Nothing here yet, but a very cool introduction to the DIPOR concept. Level has released its first bot mechanism: the AMM (Automated market maker). The AMM is a bot that trades 24/7 on Level providing liquidity for market orders. We may have missed this one from back in December, but featuring now as someone resurfaced it this week in conjunction to their testnet launch. Algorand got its 9-digit ecosystem fund, called Algo Capital. Our friend Robert from Compound is unveiling his small scout fund to invest in DeFi companies. Blockstack is pioneering the regulated crowdfunding approach and going for a Reg A+ $50M raise. Notable that it's estimated to cost them $1.8M - but the benefits are substantial: immediate liquidity for everyone. Blockdeamon, the developer of managed node deployment middleware tools for multiple blockchains, has raised a round of undisclosed size led by Lerer Hippeau, with participation from existing lead investors Comcast Ventures and Boldstart and new investors Coinfund, Republic Venture and CRCM Fund. Flexa has raised $14M from Pantera, Nima, 1kx and Access Ventures through a private token sale for Flexacoins. The Flexa team is building the infrastructure and application to drive retail payment adoption of cryptocurrencies, and the Flexacoin is an ERC20 token that will be used to stake value for merchant payment processing. The Figure Technologies spin-out has raised via a Reg-D STO to continue building a permissioned blockchain for the origination, financing and exchange of loans. The security token named Hash "serves two purposes: it provides a means to distribute fees paid into Provenance, and it provides a governance voting structure for PBI [Provenance Blockchain, Inc.]".